The commencement of the examination season of Summer 2018 was heralded by a call I received from the co-ordinator of a college in Mangalore. Calls followed in quick succession over the days that followed. 2018 seemed to be a good year for the travel-loving examiner in me. First among the line of examinations was at Vijayapura (Bijapur) in the north eastern part of Karnataka. Trains were not an option for this route - it had to be buses in any case. The government operator didn't seem to have AC buses on this route. My attention turned to private operators - matters got easy there. 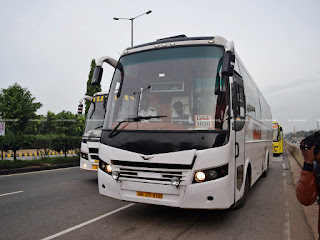 It was a tough choice between VRL and Orange travels (both had good reviews on redBus). I finally picked up VRL for the outbound and Orange for the return. Reservation was done through their own websites. We were quite tired after the long travel from Kodaikanal to Ooty. There weren't a lot of plans to travel around Ooty - but we did shortlist some spots to visit. 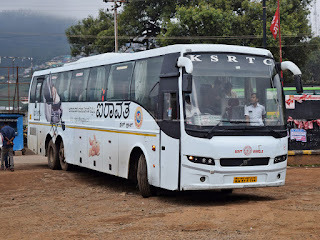 I had held on the booking of our return ticket till we were half way through the first day at Ooty. We had to depart post noon from Ooty - coinciding with our check-out time at the hotel. 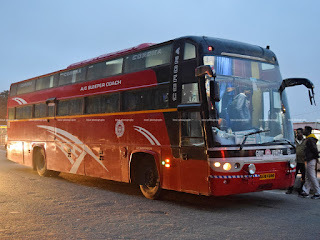 Two buses showed up when I searched for afternoon departures from Ooty - one was a summer special service departing immediately post noon, while the second bus was a regular service departing at 1530hrs. I didn't want to rush with our return departure, hence reserved tickets on the 1530hrs departure. 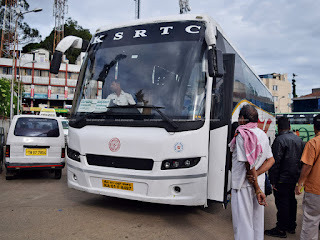 14 Down & 14 Up: A TNSTC Ride from Kodaikanal to Ooty, with a break! 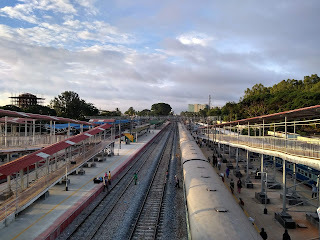 Traveling from Kodaikanal to Ooty was a big hurdle we had in our travel plan. 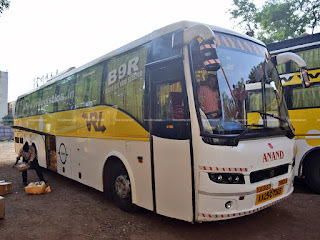 Bus services did list, but their timings did not suit our requirements, rather we did not plan our travel properly that it did not suit our requirements. 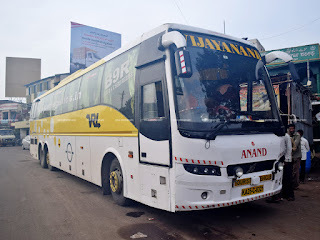 After a lot of searching on the internet, we got to know that there existed a bus service from Kodaikanal to Coimbatore. That was the only information I could get. We decided to take a call once we got to Kodaikanal. 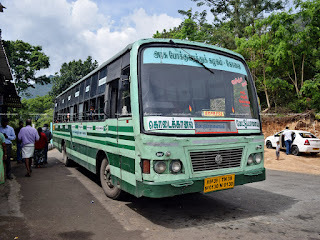 TW expressed excitement when she heard of traveling my local bus all the way from Kodaikanal to Ooty - an estimated 10 hours by road in slow moving TNSTC buses. It didn't take a lot of time for us to discover that we both loved to travel! As we were taking baby steps in our long journey of life, we thought of having a quick trip together before I get back to my busy office life. 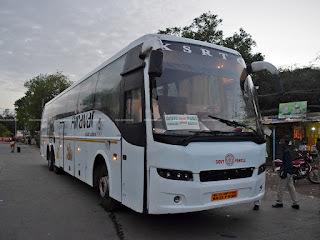 A lot of options were considered, and we finally picked up two hill stations in Tamil Nadu - Kodaikanal and Ooty. I was a bit confused whether I pick one of the two, or do a quick trip of both places - a package tour offered by a tourism corporation was my inspiration. We decided to take the plunge, and do a quick trip to both the places - was that a good decision - time tells! The 6Eneo: The "almost missed" first flight on a neo! 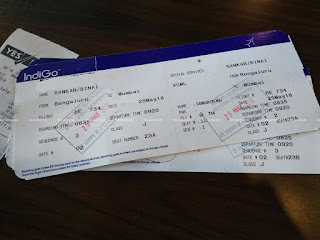 I hadn't booked a ticket to return from Mumbai until a few days before my flight to Mumbai. We were confused on the return date - plans we had went for a toss, and we finally decided to return two days after our wedding reception. I opted to book through the IRCTC Air app, which offered very competitive fares plus very low convenience fee. There was IndiGo and Go offering similar departure times, with similar fares - I opted Indigo, with a faint hope of getting a neo. I checked in on line though the IndiGo website later. I couldn't add a meal to the booking since I had missed the 24 hour deadline for addition of meals. I was continuously tracking this flight for the few days before the flight, and found that flight was regularly irregular every single day - and a neo was scheduled in this rotation almost regularly! That was a mann mein laddoo moment - exactly when the patient wanted. My first journey with TW (The Wife) post our marriage. This trip was to attend our wedding reception at Mumbai. As the date for the event was fixed, and my leaves got approved, I got on with the process of booking tickets. We were traveling a day before our wedding reception, and we decided to fly in the morning, so that we could get to my in-laws' place for lunch. Almost all the airlines were priced in the same price bracket, and my booking decision was based on the departure time from Bengaluru. We wanted a flight that did not leave too early, and not too late. 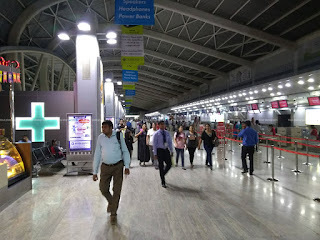 We finally picked up an IndiGo flight that left Bengaluru past 0900hrs.